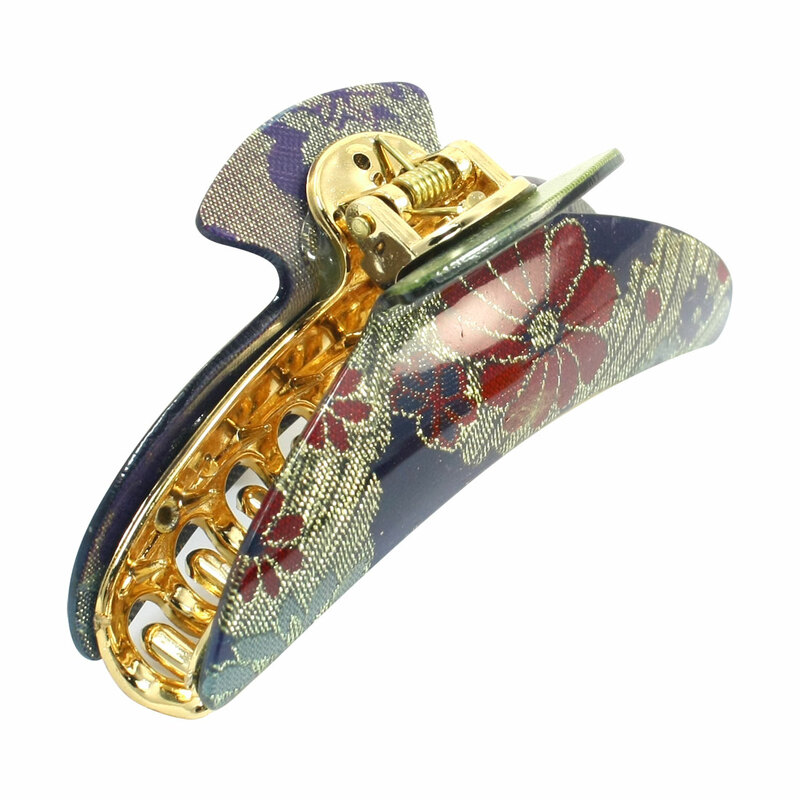 Gilttery flowers pattern, gold tone teeth, spring loaded clip claw clamp, great ornament for women use. Perfect for clamping your hair or make hair style. Fit for daily or bath use. Clamp teeth design makes it easy to use.